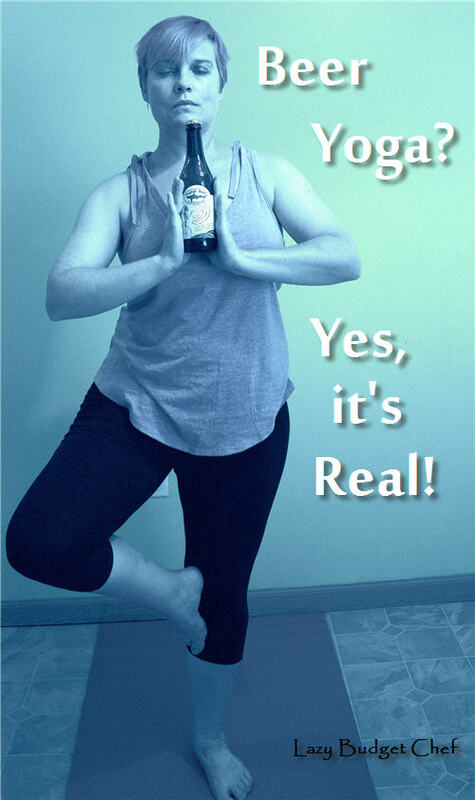 I Did Yoga in a Brewery. Really. Husband and I went to a craft beer tasting. This is the excuse we use to visit the owner’s dog Pinky. Because dogs. Yesterday the cupboard and refrigerator were a bit bare after cleaning them out before a weekend trip. I thought it best to eat lunch before I went grocery shopping later that day. 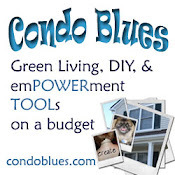 If I didn't, I knew I"ll fall into any of the traps in my Six Hidden Grocery Budget Busters post. 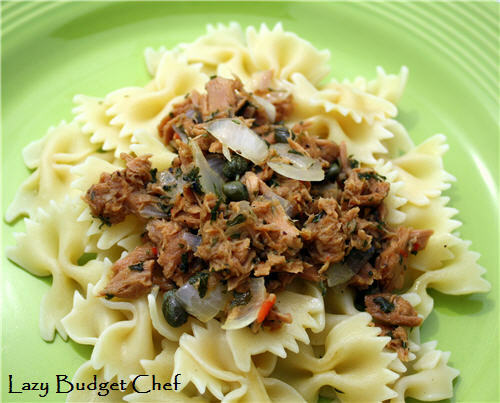 This pasta with tuna and capers recipe took around 10-15 minutes to make and all with basic pantry staples. I poked around the pantry and found some pouches of tuna fish behind a jar of capers. I vaguely remember buying capers for a tuna fish recipe I saw in passing online. 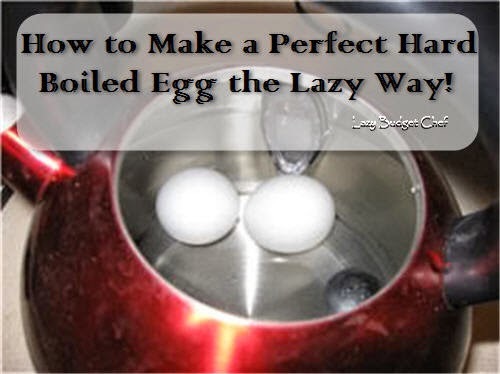 Unfortunately I apparently pinned every other recipe to my Pinterest boards except the tuna and caper recipe I saw and intended to eventually make.